Eurozone crisis: As austerity fatigue sets in, the U.S. economy looks pretty sweet. The U.S. economy has its problems, but it’s still better than everywhere else. In the last four weeks, I have traveled to Sofia, Kuala Lumpur, Dubai, London, Milan, Frankfurt, Berlin, Paris, Beijing, Tokyo, Istanbul, and throughout the United States. As a result, the myriad challenges facing the global economy were never far away. In Europe, the tail risk of a eurozone break-up and a loss of market access by Spain and Italy were reduced by the European Central Bank’s decision to backstop sovereign debt. But the monetary union’s fundamental problems—low potential growth, ongoing recession, loss of competitiveness, and large stocks of private and public debt—have not been resolved. Moreover, the grand bargain between the eurozone core, the ECB, and the periphery—painful austerity and reforms in exchange for large-scale financial support—is now breaking down, as austerity fatigue in the eurozone periphery runs up against bailout fatigue in core countries like Germany and the Netherlands. 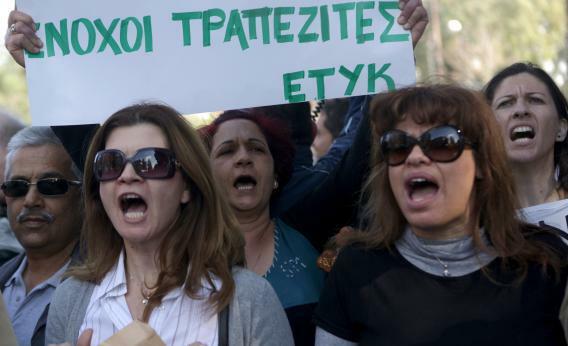 Austerity fatigue is clearly evident from the success of anti-establishment forces in Italy’s recent election; large street demonstrations in Spain, Portugal, and elsewhere; and now the botched bailout of Cypriot banks, which has fueled massive public anger. Throughout the periphery, populist parties of the left and right are gaining ground. The country’s new leaders speak earnestly of deepening reforms and rebalancing the economy, but they remain cautious, gradualist, and conservative by inclination. Moreover, the power of vested interests that oppose reform—state-owned enterprises, provincial governments, and the military, for example—has yet to be broken. As a result, the reforms needed to rebalance the economy may not occur fast enough to prevent a hard landing when, by next year, an investment bust materializes. In China—and in Russia (and partly in Brazil and India)—state capitalism has become more entrenched, which does not bode well for growth. Overall, these four countries (the BRICs) have been overhyped, and other emerging economies may do better in the next decade: Malaysia, the Philippines, and Indonesia in Asia; Chile, Colombia, and Peru in South America; and Kazakhstan, Azerbaijan, and Poland in Eastern Europe and Central Asia. Farther East, Japan is trying a new economic experiment to stop deflation, boost economic growth, and restore business and consumer confidence. “Abenomics” has several components: aggressive monetary stimulus by the Bank of Japan; a fiscal stimulus this year to jump start demand, followed by fiscal austerity in 2014 to rein in deficits and debt; a push to increase nominal wages to boost domestic demand; structural reforms to deregulate the economy; and new free-trade agreements—starting with the Trans-Pacific Partnership—to boost trade and productivity. Then there is the Middle East, which remains an arc of instability from the Maghreb to Pakistan. Turkey—with a young population, high potential growth, and a dynamic private sector—seeks to become a major regional power. But Turkey faces many challenges of its own. Its bid to join the European Union is currently stalled, while the eurozone recession dampens its growth. Its current-account deficit remains large, and monetary policy has been confusing, as the objective of boosting competitiveness and growth clashes with the need to control inflation and avoid excessive credit expansion. In this fragile global environment, has America become a beacon of hope? The U.S. is experiencing several positive economic trends: housing is recovering; shale gas and oil will reduce energy costs and boost competitiveness; job creation is improving; rising labor costs in Asia and the advent of robotics and automation are underpinning a manufacturing resurgence; and aggressive quantitative easing is helping both the real economy and financial markets. In sum, among advanced economies, the U.S. is in the best relative shape, followed by Japan, where Abenomics is boosting confidence. The eurozone and the U.K. remain mired in recessions made worse by tight monetary and fiscal policies. Among emerging economies, China could face a hard landing by late 2014 if critical structural reforms are postponed, and the other BRICs need to turn away from state capitalism. While other emerging markets in Asia and Latin America are showing more dynamism than the BRICs, their strength will not be enough to turn the global tide.